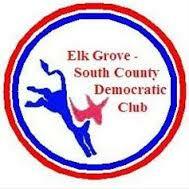 The Elk Grove-South County Democratic club will be hearing from several candidates at their monthly meeting on Tuesday night. During their regular meeting, club members will hear presentations from candidates seeking positions representing areas six and seven on the board of the Sacramento County Office of Education. Among the Democratic candidates presenting for area six include Orlando Fuentes and Stephanie Nguyen, and area seven candidates Sidney Fong and Harold Grimes. Tuesday's meeting will be held at the Elk Grove Public Library and starts at 6:30 p.m. For further information, please contact Dan Schmitt at (916) 687-8744 or egscdems@gmail.​com.